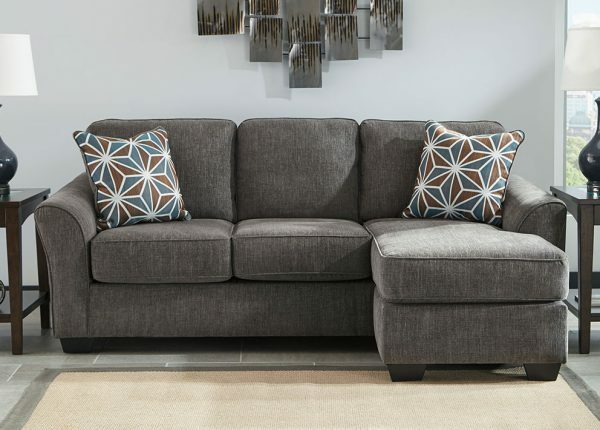 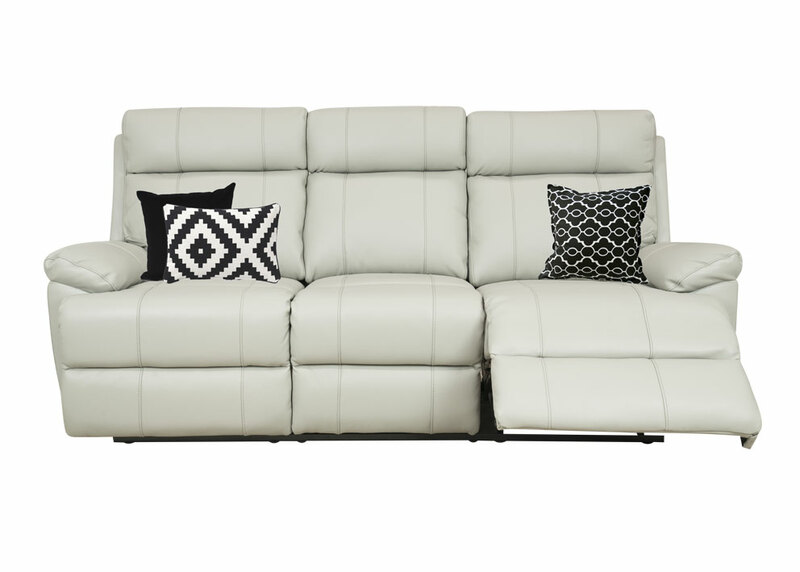 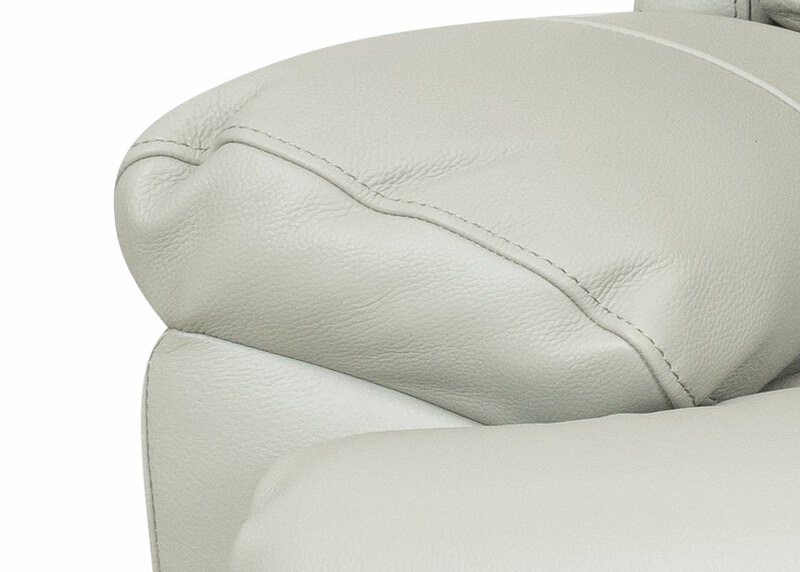 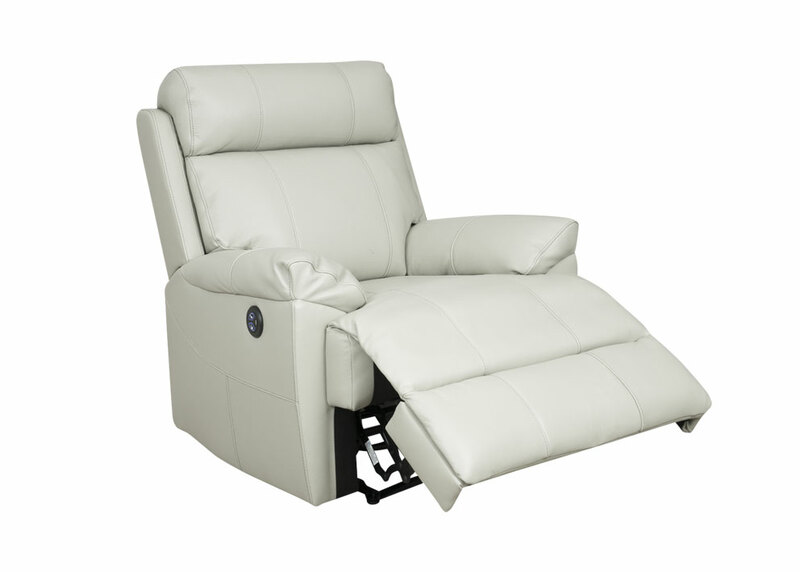 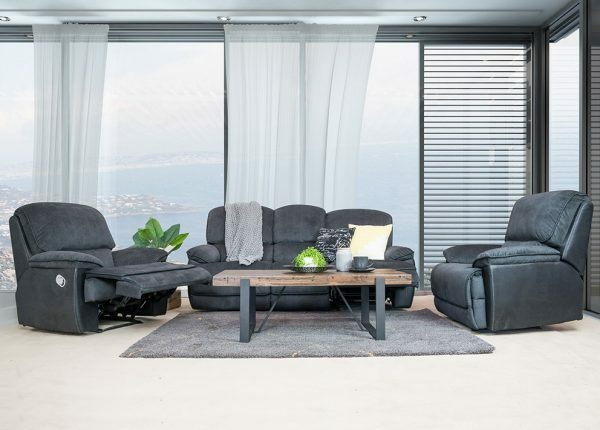 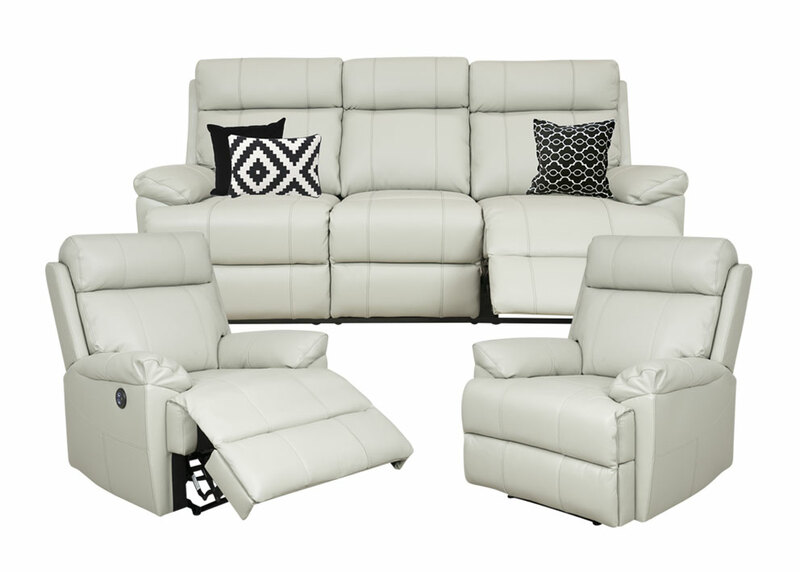 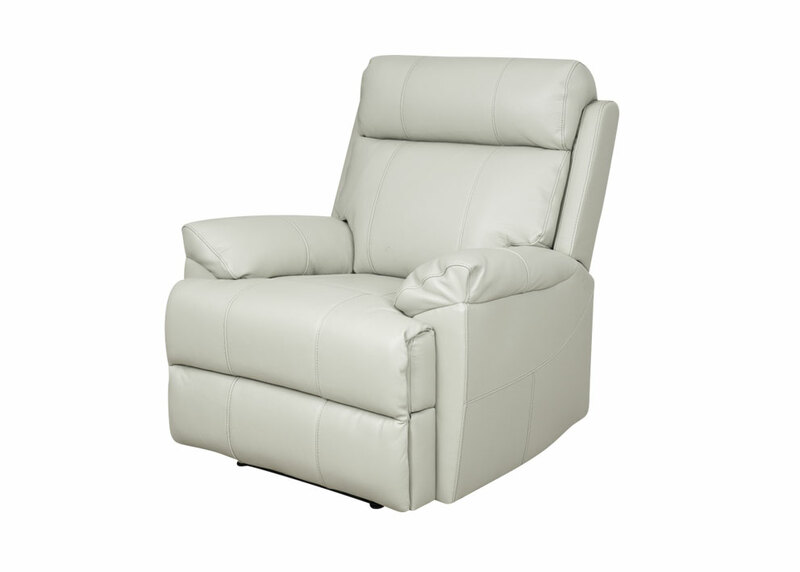 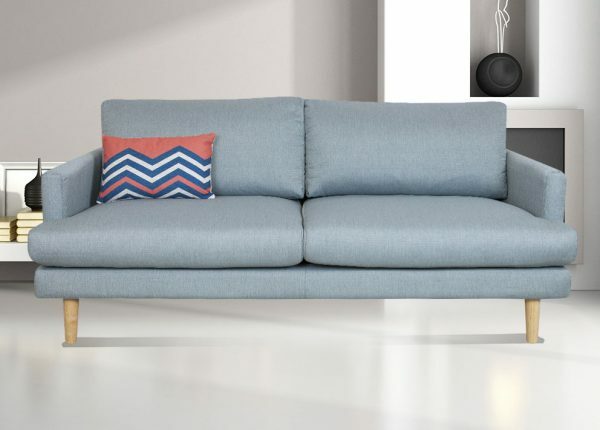 100% thick leather, includes 4 fully electric motion recliners. 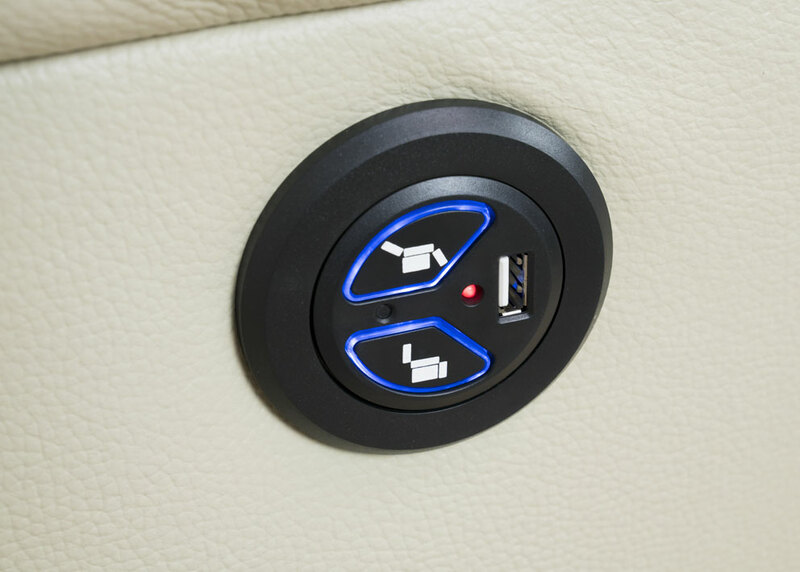 Push button controls include USB charging ports. 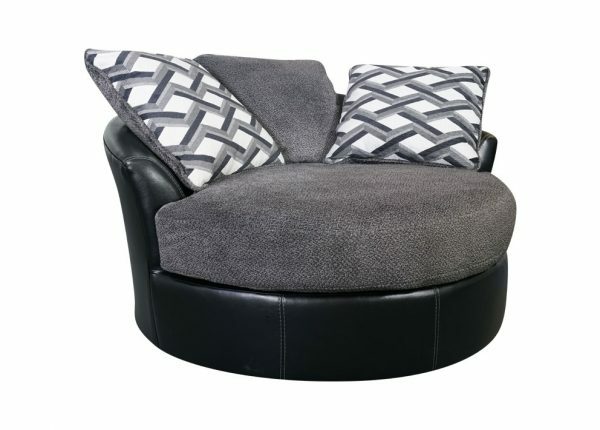 Available in black, grey or beige.